Hello! 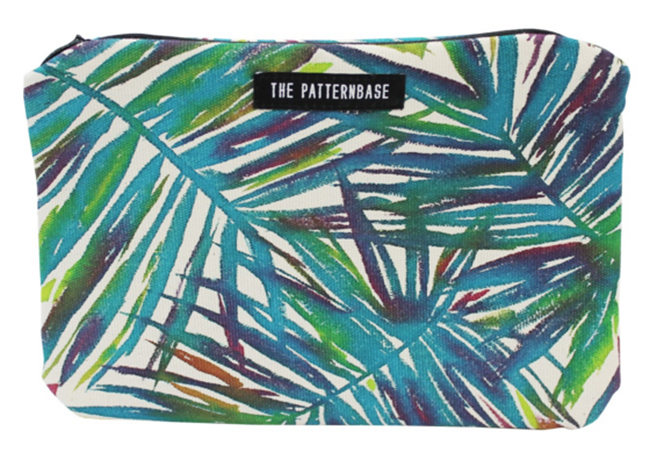 We are The Patternbase, a surface design studio co-founded by 2 SDA members – Audrey Victoria Keiffer and Kristi O’Meara. We’ve been collaborating for a number of years now and are excited to tell you a bit about our story. The dynamic of our partnership always dominated our interactions, as we both have an interest in business, art and design. We became friends in Kansas City, Missouri during college in 2007, despite graduating in the same class at the same high school in 2005. One of the first times we met up, we immediately tried to collaborate on an etsy.com vintage textile business. After college, Kristi worked as an intern and assistant for a several designers and companies in Kansas City that fueled her interest in textile design. They including Porter Teleo, Kansas City Costume Company, and Nelson-Atkins Museum of Art. In 2011, she moved to Chicago to start work as a studio assistant for fiber artist Nick Cave and began pursuing her own art practice. 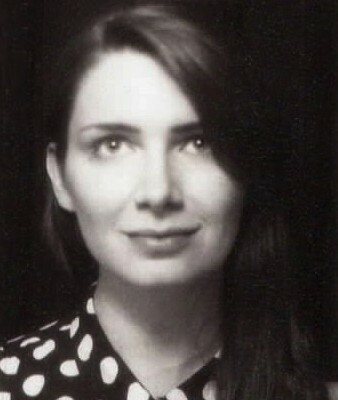 Audrey was an installation artist for film festivals (including the True/False Film Festival), worked for textile design studios such as hunt+gather and Aaryn West and was also a painter and muralist in Missouri before she moved to Chicago in July 2014. 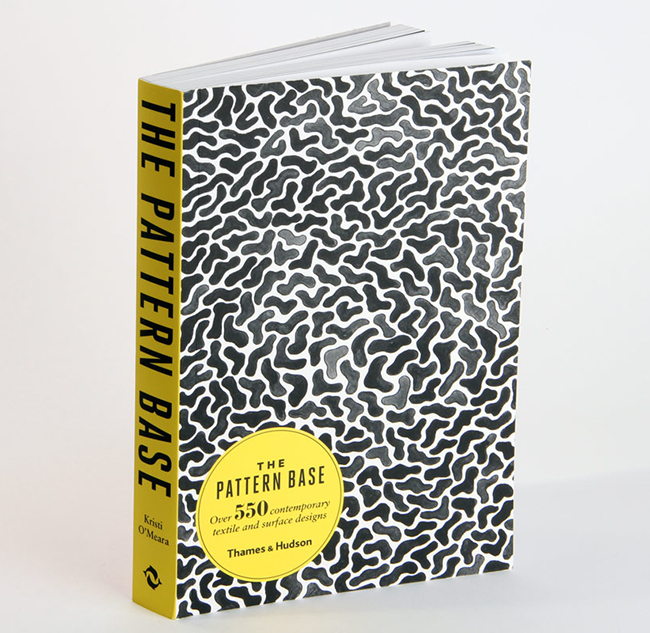 The Patternbase first began in the midst of that separation in 2011, when Kristi built a Tumblr blog dedicated to the celebration of pattern design. Its intention – from the beginning – was to blend art and design in a different way and to document the shifts and resurgences of trends happening within the surface design industry. There are many publishing options available for exploring and presenting this kind of visual information, especially in surface design. 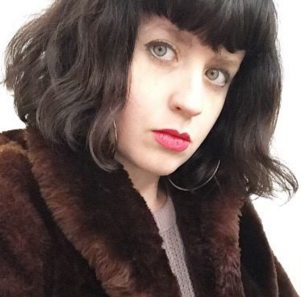 In Kristi’s case, she chose Tumblr, where curating became a focal point. Photos of repeats, textiles, placement prints and other pattern-inspired images were posted on a daily basis. Her site very quickly attracted thousands of followers due to her consistent posting and high-quality content. She achieved this by staying focused on one theme and curating found photos to create multiple series of related images meant to highlight current pattern design trends and inspire new ones. After about a year into the tumblr’s development, Audrey partnered up with Kristi and began writing in-depth interviews and co-directing curation of the site. The idea for a studio took root during this phase of our collaboration. 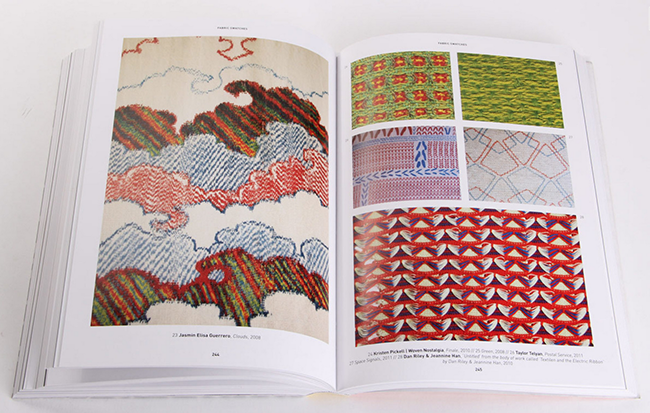 The biggest project at the time, and still one of the most important accomplishments of the studio, was the publication our first book, The Pattern Base: A Collection of Over 550 Contemporary Textile and Surface Designs, by Thames and Hudson Publishing (2015). 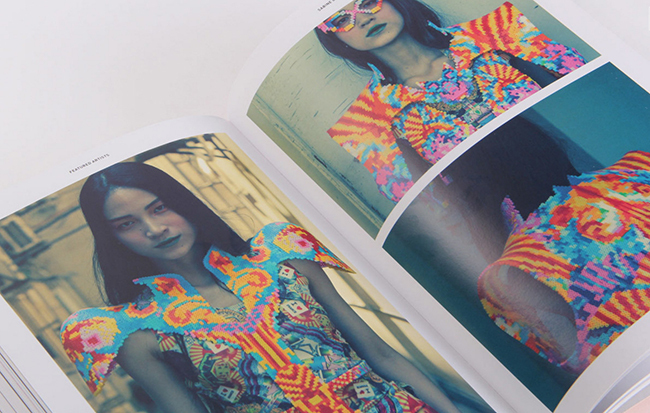 The book was intended to be a physical manifestation of the Tumblr blog – as well as an opportunity to directly connect with designers across the globe. 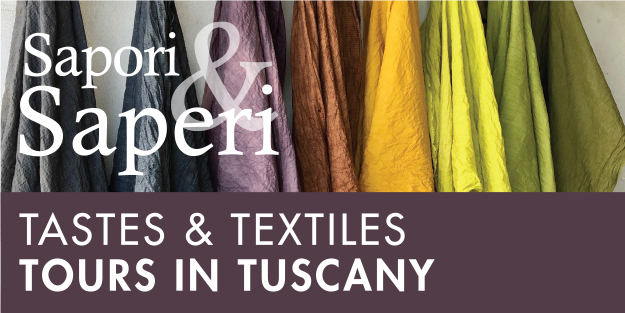 It showcases more than 550 textile, surface, fashion and print designs from over 150 designers worldwide. As we experienced the way the Internet changed many industries, we became excited by the goal of expanding our project into an on-going business. When the 2 of us were reunited in Chicago in 2014, our intention was to create an innovative design studio and pop-up gallery that would thrive off a continual dialogue with the design industry – through both the Tumblr archive and a collection of carefully curated artist-made goods. In 2014, we were the recipients of the Propeller Fund (awarded by Threewalls Gallery, Gallery 400 and The Andy Warhol Foundation for the Visual Arts to support realization of The Patternbase Gallery/Boutique Hybrid. In 2015, we were awarded a DCASE Cultural Grant through the City of Chicago for our first line of hand-painted and sewn apparel and housewares. With these grants, we were able to expand our studio into the physical world, which was a relief, but also an adjustment to a completely new set of rules. It’s well known that the Internet has enabled all kinds of innovation in every industry area and business. The field of design is no exception. Though we plan to sell our products via brick-and-mortar retailers, we always begin our projects on online. Before launching our new website in 2016 (shown at top), we spent over a year conducting research on the most effective design aesthetic and intuitive interface for it. 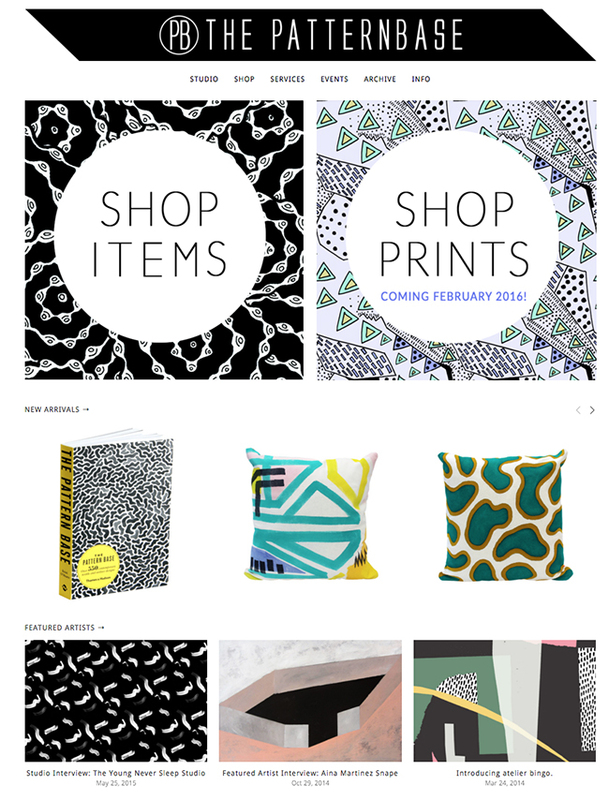 We wanted to find out what kind of fun new prints were possible and also what people gravitated to visually. 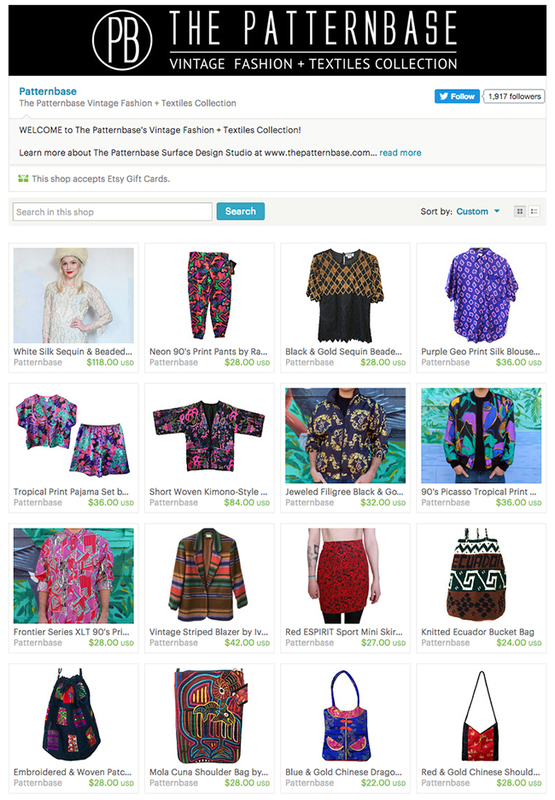 The online market, where experimental motifs dominate, is different than the off-line “in person” marketplace. As a multi-faceted designer-artist team, we had many options to choose from and many possible directions to take the studio. Deciding our focus – while staying true to our desires and personal ambitions – was the biggest challenge. We constantly had to decide what was a priority and what was simply ornamental. When we moved into our new studio in the Humboldt Park neighborhood of Chicago, we realized how much easier it is to define priorities when adequate workspace is available and you have fine silk and a paintbrush in hand! 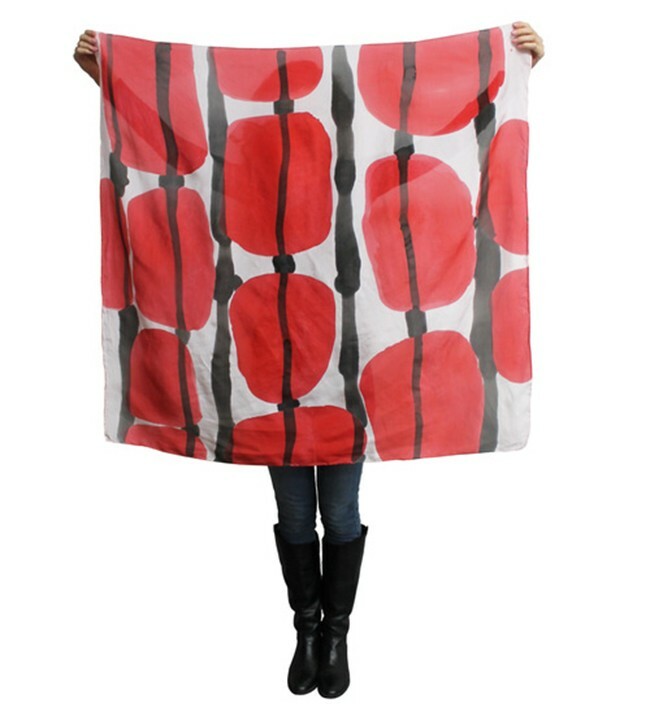 We are currently working on hand-painted raw silk pillows, silk scarves, leggings and dresses while also working with a variety of digital printers for tights, scarves and, eventually, yardage. Being an Internet-focused business in the Midwest allows for a different kind of art and design, free of the normal limitations of “the industry”. Collaboration and dialogue between our studio practice, curatorial work and the outside world is an important part of our business. The aesthetic that informs our work as designers, such as raw materials, motifs and patterns, is driven by the intention and understanding that the canvas is wearable and adaptable to any environment – a (somewhat) new movement within the visual arts. Many artists are putting a new emphasis on surface design, since it allows them to create work that is accessible, functional and able to be widely distributed in new ways. What currently excites us at the studio is bringing attention to and promoting Midwestern and minority artists and designers! We’re also experimenting with new fabrics and designs. We constantly grapple with a digital world that becomes both bigger and more accessible yet smaller and smaller at the same time. We’ve challenged big, intimidating, impossible dreams with an unwavering determination to succeed and the desire to continually make. Come visit us at The Patternbase! 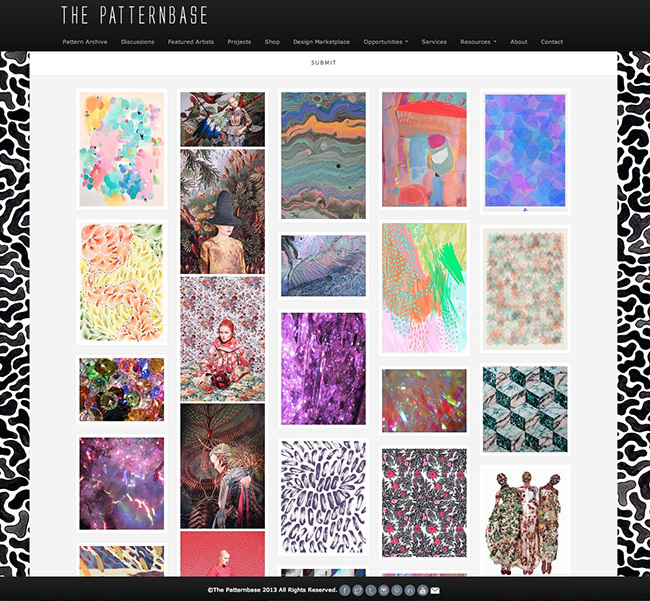 The Patternbase is a surface and textile design studio, digital pattern archive and pop-up gallery co-directed by artists Audrey Victoria Keiffer and Kristi O’Meara. 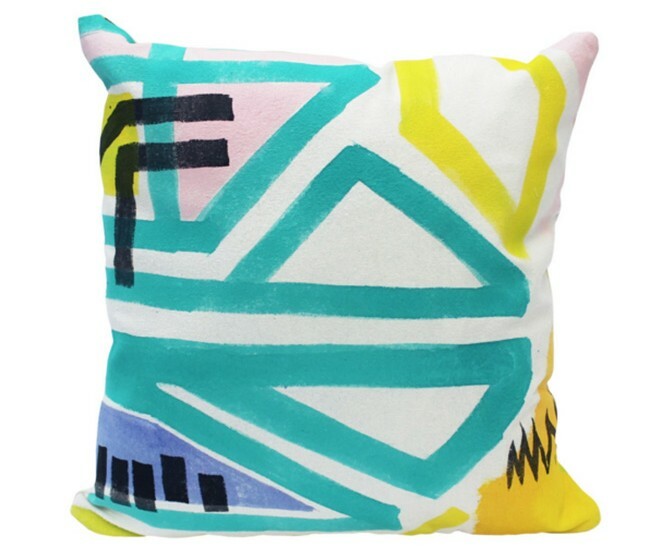 In 2014, the digital archive grew into a studio where the 2 in-house designers create hand-painted and sewn housewares and apparel items, design innovative digital patterns, offer services and collect and sell vintage apparel and textiles. The studio also offers a curated selection of exciting artist-made apparel, wearable art, prints, homewares and other accessories. The Patternbase gives free and open promotion for artists and designers through their ever-growing Pattern Archive, and provides knowledge about the inner workings of the textile design industry through a series of discussions and interviews with individuals currently working within the textile and fashion design industries today. 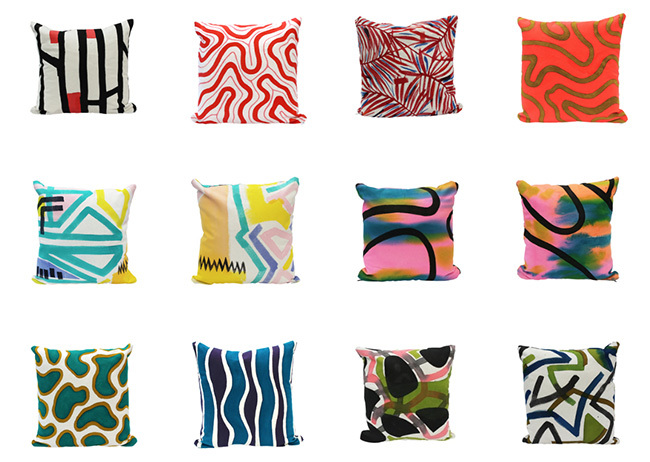 The Patternbase recently launched its redesigned and transformed website and webstore, which showcases artwork and handmade textiles from the studio, exclusive digitized patterns, and limited-edition pieces from a carefully curated selection of artists.